I am pleased to present the 2003 Annual Report for the Assembly Committee on Housing highlighting the accomplishments of the past Legislative Session. It has been a very successful year. The achievements of the Committee include a bill (A.2716-A) that would extend various provisions of law relating to the emergency housing rent control law, rent stabilization, conversion of rental residential property, and rent regulation reform act of 1997 from 2003 until 2008. It would also repeal the high rent vacancy decontrol provisions of the rent regulation system, and extend rent and eviction protections to tenants living in former Section 8 projects and post 1974 Mitchell-Lama tenants. Another bill (A.2718) would reform the method by which owners of rent regulated buildings would be compensated for major capital improvements. Unfortunately the Senate did not take up any of these important tenant protection measures. The various provisions of law relating to the Emergency Housing Rent Control Law, rent stabilization, conversion of rental residential property and the Rent Regulation Reform Act of 1997 were extended until June 30, 2011 (Chapter 82). Three bills designed to facilitate the continued work of New York City's Department of Housing, Preservation, and Development (HPD) were passed by the Assembly and then signed into law. One extended the authorization of HPD to make loans for neighborhood projects in commercial corridors (A.8006; Chapter 96); the second enabled continued financing of affordable housing (including substantial rehabilitation or new construction) until July 2008 (A.8768; Chapter 118); and the third authorized the City of New York to forgive certain liens on former 7A buildings for which administrators had been appointed, and to increase the compliance period (A.7971; Chapter 387). The committee also authorized the extension the tax exemptions of both state administered public housing projects (A.8030; Chapter 449) and Mitchell-Lama buildings (A.8028-A; Chapter 389). In addition, two bills were passed by the Assembly and signed into law re-structuring state housing authorities to allow them to begin or continue their work (A.8799; Chapter 190; and A.8739; Chapter 510). In response to the continuing threat of buildings pre-paying or "buying out" of the Mitchell-Lama program, the Assembly again passed a package of bills to protect tenants. These bills would require early notification for buy-outs (A.943), extend from twenty to fifty years the period of time before limited-profit housing companies may dissolve (A.2367), and protect Mitchell-Lama housing for artists (A.5466). Unfortunately, the Senate failed to pass any of these bills. The Committee will continue to advance this legislation in the next session. The Committee held public hearings in March and November 2003 in New York City on the continuing need for affordable housing. The Assembly also took action on numerous measures to protect the rights of tenants living in multiple dwellings as well as those tenants living in condominiums and cooperatives that are undergoing conversions. These included allowing only non-eviction conversion plans (A.4233), protecting seniors from eviction during conversions (A.1946), and expanding the definition of "seniors" and "disabled" for conversion purposes (A.4640). Finally, the Assembly passed a bill raising both the allowable annual and aggregate amounts that may be given to the statewide network of Neighborhood Preservation Companies (NPCs) and Rural Preservation Companies (RPCs) (A.2790). I am pleased with the many successes of the Committee and look forward to continuing our efforts in what is sure to be a difficult session ahead. I wish to extend my sincerest thanks to the members of the Committee, my staff, the staff of the Housing Committee, and to you, Mr. Speaker, for your commitment and support. Revising the Definition of "Mortgage"
Providing Residents a Written Copy of Their "Bill of Rights"
The New York State Assembly Committee on Housing is composed of 27 members (20 majority members and 7 minority members). Public Housing Law, which covers the safety, management, and financing of local public housing authorities throughout the State. 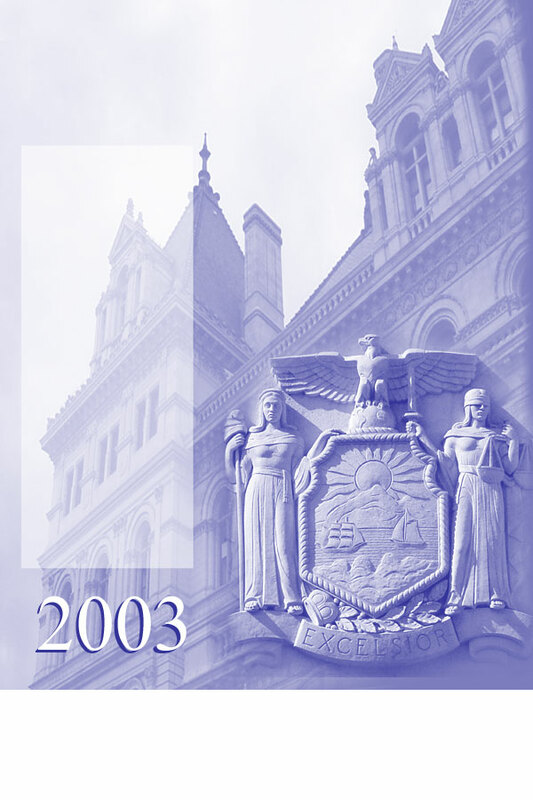 In addition to bills regarding these laws, the Committee has jurisdiction over legislation amending the following sections of the Unconsolidated Laws: the Emergency Housing Rent Control Law; the Local Emergency Housing Rent Control Law; the New York City Rent Stabilization Law; the Emergency Tenant Protection Act of 1974; sections of the New York City Administrative Code and the City of Buffalo Administrative Code; sections of the General Business Law that relate to the conversion of real property from rental to cooperative (co-op) or condominium (condo) status; and sections of the Executive Law, Real Property Law, Real Property Actions and Proceedings Law, and the Public Authorities Law. The committee held an affordable housing hearing on February 13 in New York City. Topics included the role of local non-profits in producing new units of housing, the use of mixed-use financing to encourage the development of affordable housing units, the impact of the unavailability of land, and other obstacles to the construction of affordable housing. Much discussion focused on the brownfields issue. Brownfields, or contaminated properties, have been a drag on local economies across New York State and can pose a public health risk if not cleaned up. Several bills were introduced to establish permanent clean up of contaminated sites and a framework to remediate these sites while providing developers, municipalities and community-based organizations with a speedy process, financial incentives and liability relief. Many in attendance agreed that action needed to be taken to address this problem. One of the significant achievements of the 2003 Legislative Session was the passage of the Brownfield Cleanup Program (Chapter 1 of 2003), which met many of the witnesses' concerns. Witnesses also addressed the subjects of re-zoning, construction costs, tax incentives, such as support for a Neighborhood Assistance Tax Credit program, which would provide a 50% tax credit to any corporation that helps in revitalizing neighborhoods and how to more fully involve the private sector. Witnesses suggested several administrative changes. Recommendations included creating additional legislation that gives the Department of Housing Preservation and Development more flexibility. Also, nearly every speaker addressed the importance of the continuation of current rent laws as one way to help alleviate the dire housing shortage in New York City. On November 12, the committee held a hearing focusing on the impediments to building affordable housing. This hearing examined the factors that impede the development of new affordable housing units in New York City, and explored options for overcoming these obstacles. The representative from New York City Department of Housing Preservation and Development described the low inventory of city-owned vacant land. As a result of this dwindling resource, the City is looking at new ways to develop affordable housing, including preservation of existing affordable housing, such as the Mitchell-Lama housing stock, and incentives for private land owners to sell vacant land to the City for affordable housing development. Housing developers in attendance expressed concern regarding delays in approval processes by various agencies, as well as outdated or overly restrictive zoning. They recommended that zoning resolutions be kept up to date and multi-agency reviews be done simultaneously, rather than consecutively. The State of New York Mortgage Agency (SONYMA) provides mortgage insurance and purchases residential mortgages from lenders to assist first-time home buyers who would otherwise be unable to finance the purchase of a home. SONYMA programs include low interest rate and conventional rate mortgage programs, as well as the Mortgage Insurance Program. These programs make the dream of owning a home a reality for thousands of New Yorkers each year. This Chapter extends the ability of SONYMA's Mortgage Insurance Fund (MIF) to provide mortgage pool insurance until July 16, 2005. This chapter amends Section 2407 of the Public Authorities Law to increase SONYMA's tax-exempt bonding authority to a total of $6.945 billion, an increase of $50 million. This increase is expected to provide SONYMA with sufficient bonding authority to cover its activities for the next year. In addition, this chapter extends SONYMA's authority to purchase mortgages and issue tax-exempt bonds until July 16, 2004, and extends the Agency's authority to issue taxable bonds until July 16, 2004. The New York State Housing Finance Agency (HFA) was created as a public benefit corporation in 1960 to finance the development of low income housing by providing low-cost mortgage loans to both for-profit and not-for-profit developers. In its forty year history, the Agency has issued more than three billion in bonds used to finance affordable housing developments. These developments include multi-family rental housing, senior housing, staff housing for educational and medical institutions, congregate care facilities, adult homes and other special-needs housing. This chapter increases HFA's tax-exempt bonding authority by $1.6 billion from $6.48 billion to $8.08 billion. This increase will enable HFA to continue to meet the demand for below-market financing among both for-profit and not-for-profit housing developers for another year. This bill would authorize municipalities to enter into contracts with redevelopment companies to exempt the real property of such companies from local and municipal real property taxes for a term commensurate with the term of the mortgage on such property made by the New York State Housing Finance Agency (HFA) instead of the current term of twenty-five years. It would also give the municipality the option of entering into a contract that will be co-terminus with the Agency's permanent financing. This bill would allow the State of New York Mortgage Agency ("SONYMA") to issue and insure second mortgages for down payment and closing cost assistance to potential home owners. This bill would define the term "mortgage" to include a loan owed to a bank secured by a second lien (under certain limited circumstances) if the second lien secures a loan purchased by the agency and is made at the same time as a first lien securing a loan purchased by the agency. Manufactured homes serve as a primary residence for more than 195,000 people living in more than 2,090 manufactured housing communities throughout the State. Counties with the highest concentration (seventy-five or more) of these communities include Saratoga, Dutchess, Ulster, Oneida, and Oswego, while those with the lowest concentration (five or less) include Westchester, Nassau, Schenectady, and Hamilton. Since manufactured home owners usually own their homes but not the land on which they are placed, these owners are faced with a number of unique problems. First, the monetary investment involved in purchasing a manufactured home is substantial, with prices ranging from $9,000 to $150,000. Second, once purchased and placed in a community, a manufactured home is extremely difficult to move. Third, the cost of moving is prohibitively expensive, generally exceeding a thousand dollars. Finally, in many areas of the State, relocating to another community is extremely difficult due to a shortage of available lots and zoning laws that restrict the placement of manufactured homes. Given these problems, the Housing Committee will continue to work to assist and protect the rights of manufactured home owners in the upcoming session. This bill would provide that lease offers made to manufactured home tenants list fees, charges, and assessments in force as of the date the lease offer is required to be made and would prevent the increase thereof until the expiration of the tenant's lease or after ninety days have elapsed, whichever is later. It would also provide for the pass-along of increases or decreases in charges for goods or services provided by third parties and would require that tenants without leases be charged at the same rate for fees and charges, as tenants with leases for comparable lots and services. This bill would require the owner of a manufactured home park to deliver written notice of any offer for the sale of the park to the manufactured homeowners' association stating the price, terms and conditions of such offer for sale. It would also provide that the homeowners' association would have the right of first refusal to purchase such property, and would set forth guidelines for the right of first refusal. This bill would require manufactured home park owners or operators to give residents a copy of the tenant's bill of rights prior to occupancy as well as posting a copy in a conspicuous place on the park grounds. It also introduces a new section that would allow for the removal of abandoned homes if certain provisions are met that would classify the home as abandoned. This bill would limit the amount a manufactured home park owner may require a tenant to pay as a security deposit to no more than one month's rent provided the tenant has rented in the park for two years or more. An exception to this limit would be made if the tenant has been in default for more than one month's rent or is in violation of certain provisions. This bill would require that owners of manufactured home parks designate an agent who would be available and authorized to act on behalf of the owner at any time of the day or night in matters affecting the welfare of tenants and the delivery of basic services that the owner has agreed to provide. A minimum fine of fifty dollars is also established for any failure to meet these requirements. New York City's housing needs are among the greatest in the nation. As a result, the Housing Committee works closely with New York City's Department of Housing, Preservation, and Development to ensure that those needs are met. The following are summaries of bills supported by HPD that were acted upon by the Assembly. This chapter extends the existing authority of the local housing agency in the City of New York to make loans for neighborhood projects in commercial corridors (ANCHOR loans). These loans will be used to finance neighborhood improvement projects and urban development action area projects, including commercial and community facilities. This chapter provides that after June 30, 2006, HPD can only provide such loans to commercial corridors designated prior to June 30, 2004. This chapter extends until July 1, 2008, the existing authority of the Department of Housing Preservation and Development (HPD) to continue financing up to 100% of the total development cost of an affordable development (either substantial rehabilitation or new construction) and also authorizes HPD to forgive City-financed pre-construction advances to owners. This chapter authorizes New York City to forgive certain liens on buildings for which an administrator has been appointed and increases the compliance period. This change allows new owners of former 7A buildings to access private financing. The new owner will have to enter into a regulatory agreement for thirty years with the City to provide adequate, safe, and sanitary housing for persons of low income. This chapter authorizes the Department of Housing Preservation and Development (HPD) to extend the term of Article 8 loans to the term of a loan held or insured by the Federal government, the Federal Home Loan Mortgage Association, or Fannie Mae. The chapter allows Article 8 buildings to refinance with federal mortgage assistance and retain the refinancing proceeds for rehabilitation or arrears, rather than having to satisfy the Article 8 loan. This chapter allows the City of New York Housing Development Corporation ("HDC") to increase the maximum aggregate principal amounts of its outstanding notes and bonds by $600 million from $3.8 billion to $4.4 billion. HDC uses this bonding authority to finance new construction and the conversion of non-residential buildings to housing in the Congressionally designated Liberty Zone and in other areas throughout the city. The work they finance increases low, moderate, middle income, and mixed-income housing units. This chapter allows the Department of Housing Preservation and Development to expand the scope of its Participation Loan program to allow loans for new construction in addition to rehabilitation. Monies for this program come from private investors and municipalities utilizing grant funds and provide low-interest loans for the construction of new multiple dwellings on privately-owned property. The State of New York continues to play an important role in regulating and supporting the operation of public housing. Currently, over 18,000 units of State-regulated public housing are operated by thirty public housing authorities. In New York City alone, State-supervised public housing developments provide housing to over 30,000 people. Despite the importance of these developments in the State's efforts to provide affordable housing, public housing authorities desperately need additional assistance in order to make long overdue capital improvements. However, due to the inadequate level of funding provided through the State's Public Housing Modernization program, many essential improvements and repairs continue to languish for lack of available funds. Increased funding for modernization remains one of the Committee's top priorities. This chapter authorizes the Potsdam Housing Authority to restructure its housing project to ensure its continued operation as a source of housing for persons and families of low income. This chapter authorizes Utica Housing Authority to restructure its housing projects to ensure their continued operation as a source of housing for persons and families of low income. This chapter grants additional property tax exemptions for certain state and municipal public housing projects for an additional fifty year period upon the expiration of the prior tax exempt period. The additional exemption period is similar to that which is currently given to federal public housing projects. This chapter authorizes the Town of Glenville to establish the Town of Glenville Housing Authority. Low cost senior citizen housing within the community of the Town of Glenville has become, over the years, increasingly more difficult to find. The Town government has determined that the creation of a Housing Authority will further its efforts to address the need for these specialized residential facilities. This bill would allow public housing tenants to conduct meetings free of charge in common areas owned by their housing authority. The Neighborhood and Rural Preservation programs (NPP and RPP) provide grants to cover the administrative costs of not-for-profit community groups engaged in a variety of housing activities ranging from housing development and rehabilitation to homebuyer counseling and tenant assistance. These not-for-profits are known as neighborhood and rural preservation companies (NPCs and RPCs). Since 1990 alone, NPCs and RPCs have played an instrumental role in the creation of over 32,000 units of affordable housing. According to the New York State Division of Housing and Community Renewal, for every dollar invested in NPCs and RPCs, between $13 and $18 is leveraged from private and other public sources for affordable housing. This bill would remove the current provision limiting the aggregate contract amount neighborhood and rural preservation companies may receive. The aggregate amount is currently $1.6 million; this bill would make the aggregate amount unlimited. This bill would also remove the current provision limiting the annual contract amount neighborhood and rural preservation companies (NPCs and RPCs) may receive after reaching an aggregate sum of $300,000. Under this bill, NPCs and RPCs would be able to receive up to $100,000 annually. The purchase of a cooperative or condominium is viewed by many as an alternative to home ownership. However, buying a coop or condo is often a complex process requiring a substantial investment of time and money on the part of the purchaser. Upon purchase, a co-op shareholder or condo unit-owner holds an interest in the cooperative or condominium corporation and has a tremendous stake in the management of the property. But unlike owning a home, where an individual owner has the final say as to property management decisions, an elected board has these responsibilities in a co-op or condo. Condo unit-owners elect a board of managers, while co-op shareholders elect a board of directors. Many of the financial problems associated with cooperatives and condominiums resulted from the tremendous conversion boom that took place in the 1980s. As the economy declined, a soft real estate market hurt both the sponsors who had invested huge sums of money to convert buildings and the shareholders who had purchased shares in troubled buildings. Because a rental building can be converted with as little as fifteen percent of the tenants wishing to purchase, many sponsors converted under less than ideal financial circumstances. Trouble resulted when sponsors had difficulty selling vacant units. Unable to meet mortgage payments and sustain building services, some sponsors defaulted on bank loans, souring the investment for shareholders and placing building residents at risk. The Assembly passed several pieces of legislation this year that would alleviate problems in the cooperative and condo housing market and protect this invaluable source of housing. This bill would repeal provisions that allow coop/condo conversion plans that contemplate the eviction of existing tenants. Under this bill, only non-eviction plans would be allowed for conversions. This bill would also prohibit landlords of condominium and cooperative residential conversions from evicting tenants refusing to purchase such cooperatives or condominiums. This bill would protect persons sixty-two years of age or older who are tenants of a dwelling unit located in a building in New York City and who are threatened with eviction because their building is subject to a cooperative or condominium conversion plan. These tenants would be entitled to remain in occupancy of their dwelling unit. This bill would strengthen the rights of cooperative shareholders and condominium owners by requiring sponsors of conversion plans to notify tenants of their right to terminate a self-dealing contract. Self-dealing contracts are contracts for the management or maintenance of the coop or condominium between the conversion sponsor and itself or an affiliate of the sponsor. This bill would expand the definition of eligible senior citizen and disabled person with respect to condominium and cooperative conversion to include any member of the tenant's household lawfully occupying the premises as his or her residence who is sixty-two years of age. The bill would provide protection to disabled and senior citizen non-purchasing residents of buildings that undergo cooperative or condominium conversions under an eviction plan even when such residents are not tenants of record in the buildings. Since the 1950s, the Mitchell-Lama program has provided affordable housing to moderate-income New Yorkers. More than 400 Mitchell-Lama developments, housing approximately 150,000 families, are scattered throughout the State. The continued viability of this housing remains a critical part of New York State's effort to ensure the availability of affordable housing for each of its citizens. Despite this, to date owners of thousands of apartments have ended rental or sales restrictions that cover their buildings by repaying loans issued under the Mitchell-Lama guidelines. In fact, forty-three developments with 17,000 units of affordable housing have left the program. These "buy-outs" can have a devastating impact on the families living in these buildings as rents may double or triple when existing leases expire. Since 1999, the Assembly has responded by passing a package of bills to protect Mitchell-Lama tenants. The Committee continued to pursue this package of legislation in 2003. Unfortunately, the Senate again failed to respond. This chapter provides municipalities with the option to grant an additional period of real property tax exemption to Mitchell-Lama housing companies upon the expiration of the existing period. The additional period continues as long as the project is operated under the restrictions and for the purposes of the Mitchell-Lama program for a maximum of fifty years. This bill would extend from twenty years to fifty years the period of time a company must continue in operation before limited-profit housing companies may dissolve and leave the Mitchell-Lama Program. This legislation would preserve Mitchell-Lama housing as an affordable housing resource for the future. This bill would require that before a Mitchell-Lama housing company could voluntarily dissolve, it would have to fully satisfy any pre-existing legal obligations to provide housing for artists. This bill would require Mitchell-Lama housing companies that intend to dissolve to provide notice of such intention to all their lease holders at least six months prior to the anticipated date of dissolution. The bill specifies certain information that must be included in the required notice. Originally passed in 1982, the Loft Law provided a mechanism for legalizing commercial lofts that had been converted into residences - many of which, because of their unique qualities and location, were occupied by artists. The law provides tenants who became residents of loft buildings in the early 1980's with protections against arbitrary evictions and rent hikes. Currently it is estimated that in Brooklyn alone, 10,000 people who live in buildings zoned for commercial or manufacturing use are not protected by the existing Loft Law. When the Assembly became aware of the large number of tenants threatened with eviction, it developed a package of bills to address the situation. By expanding the Loft Law, the Assembly seeks to increase the number of residents who would be covered under the existing statute and to provide important tenant protections for residents whose loft apartments are not currently covered. This bill would prohibit interruption of services in "would-be" interim multiple dwellings if the unit is used for residential purposes with the knowledge and consent of the owner. Essential services that have customarily been provided may only be interrupted for repairs, which shall be performed in a reasonably expedient manner or in the case of an emergency or by order of a court or other governmental organization. The bill would further provide that if the services have been interrupted or discontinued, the owner must restore such services for so long as residential occupancy continues. This bill would expand the existing Loft Law to people who lived in illegal lofts for a period of at least one year, from January 2000 to January 2003. The bill would also extend the Loft Law to March 31, 2009. New York's rent regulation laws provide protection to over 2.5 million tenants throughout the State. The basis for both rent control and rent stabilization is a housing emergency, defined as a vacancy rate below five percent that still exists in many areas of the State. Due to the existence of this emergency, government intervention is critical to protect tenants from unreasonable rent increases and evictions. This chapter extends various provisions of law relating to the Emergency Housing Rent Control Law, rent stabilization, conversion of rental residential property and the Rent Regulation Reform Act of 1997 until June 30, 2011. It also expands the Urstadt law, which prohibits the City of New York from passing any local laws that are more restrictive than the state law. In addition, it puts into statute current case law that allows units to be deregulated upon vacancy if the legal regulated rent exceeds $2,000, even if the actual rent paid is less than $2,000, and allows an owner who charges a rent that is less than the legal rent to increase the rent to the legal rent when the lease is renewed. This bill would provide for the appointment of three alternates on rent guideline boards. Under this legislation, one of the alternates would be a representative of tenants, another would represent owners, and the third would be a public representative. Alternates would be permitted to participate in all proceedings of the board as non-voting members and would participate as voting members when a member representing the same interest as the alternate is unable to fulfill his or her duties. This bill would amend the Local Emergency Housing Rent Control Act by removing the provision that prohibits cities of one million or more from strengthening rent regulation laws to provide more comprehensive coverage than provided by state laws. This bill would extend various provisions of law relating to Emergency Housing Rent Control Law, rent stabilization, conversion of rental residential property and the Rent Regulation Reform Act of 1997 from 2003 until 2008, and repeal the high rent vacancy decontrol provisions of the rent regulation system. It would also extend rent and eviction protections, pursuant to the Emergency Tenant Protection Act of 1974, to tenants living in former Section 8 projects and post-1974 Mitchell-Lama projects.. This bill would provide that certain multiple dwellings must be heated to a minimum temperature of sixty-two degrees Fahrenheit from October 1st to May 31st between 10 pm and 6 am. The current minimum temperature requirement is fifty-five degrees Fahrenheit. NPP and RPP provide grants to cover the administrative costs of not-for-profits engaged in a variety of affordable housing activities. According to the Division of Housing and Community Renewal, for every dollar the State invests in NPP and RPP, between $13 and $18 is leveraged for affordable housing from other public and private sources. The Governor had originally proposed $5.46 million for NPP, a decrease of $5.6 million, and $2.35 million for RPP, a decrease of $2.41 million, from SFY 2002. The Assembly was successful in adding $4.96 million to the Neighborhood Preservation program for a total appropriation of $10.43 million, and supported the addition of $2.74 million to the Rural Preservation Program for a total appropriation of $5.1 million. This restored amount is essential for maintaining adequate funding for all existing groups in good standing. The Homes for Working Families program uses a combination of tax-exempt bonds, low-interest loans from the State, and federal Low Income Housing Tax Credits to finance the development of housing for households earning between 50% and 60% of median income. By providing developers a vehicle to access otherwise unused federal 4% Housing Tax Credits, Homes for Working Families offers an opportunity to produce high quality, affordable housing at a lower cost for New York State's taxpayers. The $7 million enacted represents no change from last year's budget. This program provides grants and loans of up to $20,000 per unit (plus an additional $5,000 in high-cost areas) for rehabilitation and new construction of one-to four-family dwellings for middle-income New Yorkers. This represents no change from SFY 2002. This program provides grants for emergency transitional and permanent housing for the homeless through acquisition, construction, and rehabilitation. This year's budget appropriation is the same level as was enacted last year for the development of permanent, emergency, or transitional housing for homeless persons. The $30 million appropriation includes $5 million to be set aside for the Homeless Persons With AIDS Program. This program provides funding to modernize state-aided public housing projects and to address structural problems that threaten the safety of tenants. The Executive did not propose any increased funding for this vital program. This program provides grants of up to $5,000 to low-income elderly homeowners in one-to-four family homes to correct conditions that threaten their lives, health, or safety and that would otherwise force them from their homes. As such, HOPE grants enable older New Yorkers to maintain their independence and avoid more costly housing alternatives. Funding for HOPE/RESTORE remained level from last year's budget. The Trust Fund provides funding to not-for-profits, localities, and private developers for the construction or rehabilitation of rental housing that is affordable to low-income households. Funding for this program is maintained at the level enacted for the previous two fiscal years. This demonstration program provides funding to eligible not-for-profits to help them identify lead paint risks, educate and relocate families/individuals impacted by lead poisoning, and assist in abatement activities. The Assembly added this appropriation after the Governor failed to include an appropriation in his budget proposal. UHAP has provided eligible neighborhood preservation companies with grants to establish Urban Homeownership Counseling Centers. These centers promote the purchase and rehabilitation of one-to- five family, owner-occupied buildings by providing credit counseling and other technical assistance. The Governor failed to include any appropriation in the Executive Budget for this program, but the Assembly was successful in restoring its funding, thus allowing the program to continue operating. The challenge of providing safe and affordable housing in New York State is more tremendous than ever given continued budget shortfalls. The Committee seeks to achieve this goal by developing policies that leverage private resources, encourage individual home ownership, lead to the creation of new housing opportunities, and lower the cost of affordable housing development. Despite the ever-increasing demands on state resources, the Assembly's commitment to housing remains strong. One of the top priorities for the Housing Committee in the upcoming session will be the extension of the Loft Law beyond its sunset date of May 31, 2004. Protecting tenants who currently reside in lofts designated as interim multiple dwellings units is an important piece in the affordable housing puzzle. Thus, the Committee will seek not only to extend the existing law but also expand the law to cover unprotected loft tenants in Brooklyn, Manhattan, and other areas of New York City who are not covered because they were not in residence by the date required under the Multiple Dwelling Law. The Committee will also focus on continuing the Service Contract Obligation Revenue (SCOR) Bond program to ensure an uninterrupted flow of state resources to affordable housing development. Since 1991, the SCOR Bond program has financed the rehabilitation and/or construction of over $1 billion of affordable housing throughout New York State. Another priority for the Committee is to ensure that both the Housing Finance Agency (HFA) and the State of New York Mortgage Agency (SONYMA) have sufficient funds available to them so that they may continue to finance affordable housing throughout New York State. In addition, the Committee will continue to seek the establishment of a revolving loan fund to help working families purchase and rehabilitate homes. Many of these families can currently afford monthly mortgage payments, but are unable to buy a home due to high down-payment and closing costs. By assisting families with these costs, as well as the cost of necessary repairs, this initiative could make the dream of owning a home a reality for thousands of New Yorkers. Finally, the Committee will fight to ensure that the State budget provides adequate funding to assist in the development of affordable housing, the rehabilitation of existing units, and the expansion of housing opportunities for the homeless, the elderly, and those with special needs. I look forward to my twelfth year as chairman with enthusiasm and will make every effort to uphold the Assembly's commitment to quality, affordable housing for all of New York State's citizens. A.499-A Brodsky	 Would provide for the appointment of three alternates on each rent guidelines board. Under this legislation, one of the alternates would be a representative of tenants, another would represent owners, and the third would be a public representative. Alternates would be permitted to participate in all proceedings of the board as non-voting members and would participate as voting members when a member representing the same interest as the alternate is unable to fulfill his or her duties. A.943 Lopez Would require Mitchell-Lama housing companies that dissolve to provide notice of such intention to all their lease holders at least six months prior to the anticipated date of dissolution. The bill specifies certain information that must be included in the required notice. A.977 Lopez Would provide that certain multiple dwellings must be heated to a minimum temperature of 62 degrees Fahrenheit from October 1st to May 31st between 10 pm and 6 am. The current minimum temperature requirement is 55 degrees Fahrenheit. A.1946 Sanders Would protect persons sixty-two years of age or older, who are tenants of a dwelling unit in a building located in New York City and who are threatened with eviction because their building is subject to a cooperative or condominium conversion plan. These tenants would be entitled to remain in occupancy of their dwelling unit. 2071 Lopez Would amend the Local Emergency Housing Rent Control Act by removing the provision that prohibits cities of one million or more from strengthening rent regulation laws to provide more comprehensive coverage than provided by state laws. A.2367 Lopez Would extend from twenty years to fifty years the period of time before limited-profit housing companies may dissolve and leave the Mitchell-Lama program. This legislation would preserve the Mitchell-Lama housing as an affordable housing resource for the future. A.2716-A Silver Would extend various provisions of law relating to the emergency housing rent control law, rent stabilization, conversion of rental residential property and Rent Regulation Reform act of 1997 from 2003 until 2008, and repeal the high rent vacancy decontrol provisions of the rent regulation system. It would also extend rent and eviction protections, pursuant to the Emergency Tenant Protection Act of 1974, to tenants living in former Section 8 projects. A.2717 Lopez Would expand the existing Loft Law to people who lived in illegal lofts for a period of at least one year, from January 2000 to January 2003. Would also extend the Loft Law to March 31, 2009. A.2718	 Sanders Would reform the manner in which owners of rent regulated buildings are compensated for major capital improvements (MCIs). In addition to improving the methodology for determining MCI rent increases, this bill would require that rent increases associated with MCIs be treated as a surcharge that would not become part of the legal regulated rent by which annual rent increases are calculated. This bill would also require that rent surcharges authorized for major capital improvements cease once the cost of the improvement has been recovered. A.2788 Lopez Would prohibit interruption of services in "would-be" interim multiple dwellings if the unit is used for residential purposes with the knowledge and consent of the owner. Essential services that have customarily been provided may only be interrupted for repairs, which shall be performed in a reasonably expedient manner or in the case of an emergency or by order of a court or other governmental organization. Would further provide that if the services have been interrupted or discontinued, the owner must restore such services for so long as residential occupancy continues. A.2790 Lopez Would remove the current provision limiting the aggregate contract amount neighborhood and rural preservation companies may receive. The aggregate amount is currently $1.6 million; this bill would make the aggregate amount unlimited. Would also remove the current provision limiting the annual contract amount neighborhood and rural preservation companies may receive after reaching an aggregate sum of $300,000. Under this bill, NPCs and RPCs would be able to receive up to $100,000 annually. A.4038 Grannis Would strengthen the rights of cooperative shareholders and condominium owners by requiring sponsors of conversion plans to notify tenants of their right to terminate a self-dealing contract. Self-dealing contracts are contracts for the management or maintenance of the coop or condominium between the conversion sponsor and itself or an affiliate of the sponsor. A.42330 Sanders Would repeal provisions requiring the filing of eviction plans with the Attorney General in coop/condo conversions. Under this bill, only non-eviction plans would be allowed for conversions. Would also prohibit landlords of condominium and cooperative residential conversions from evicting tenants refusing to purchase such cooperatives or condominiums. A.4640 Brennan Would expand the definition of "eligible senior citizen" and "disabled person" with respect to condominium and cooperative conversion to include any member of the tenant's household lawfully occupying the premises as his or her residence who is 62 years of age. Would provide protection to disabled and senior citizen non-purchasing residents of buildings that undergo cooperative or condominium conversions under an eviction plan even where such residents are not tenants of record in the buildings. A.5466 Millman Would require that before a Mitchell-Lama housing company could voluntarily dissolve, it would have to fully satisfy any legal obligations to provide housing for artists. A.6769 Wright Would allow public housing tenants to conduct meetings free of charge in common areas owned by their housing authority. A.8029 Rules (Lopez) Would allow the State of New York Mortgage Agency ("SONYMA") to issue and insure second mortgages for down payment and closing cost assistance to potential home owners. Would also allow that the term "mortgage" would also include a loan owed to a bank secured by a second lien (under certain limited circumstances), provided that the second lien secures a loan purchased by the agency and is made at the same time as a first lien securing a loan purchased by the agency. A.8133 Rules (Brodsky) Would authorize municipalities to enter into contracts with redevelopment companies to exempt the real property of such companies from local and municipal real property taxes for a term commensurate with the term of the mortgage on such property made by the New York State Housing Finance Agency (HFA) instead of the current term of twenty-five years. It would also give the municipality the option of entering into a contract that will be co-terminus with the Agency's permanent financing. 82 S.5693 Extends various provisions of law relating to the emergency housing rent control law, rent stabilization, conversion of rental residential property and Rent Regulation Reform Act of 1997 until June 30, 2011. Also expands the Urstadt law, which prohibits the City of New York from passing any local laws that are more restrictive than the state law. In addition, puts into statute current case law that allows units to be deregulated upon vacancy if the legal regulated rent exceeds $2,000, even if the actual rent paid is less than $2,000, and allows an owner who charges a rent that is less than the legal rent to increase the rent to the legal rent when the lease is renewed. Rules (Wright) Extends the existing authority of the local housing agency in the City of New York to make loans for neighborhood projects in commercial corridors (ANCHOR loans). These loans would be used to finance neighborhood improvement projects and urban development action area projects, including commercial and community facilities. Prior to this chapter, the Department of Housing Preservation and Development (HPD), after June 30, 2003, could only have provided such loans to commercial corridors designated by the City of New York prior to September 30, 2001. As a result, any possible projects designated after September 30, 2001, would have been currently ineligible for such City-financed low interest loans. This chapter provides that after June 30, 2006, HPD can only provide such loans to commercial corridors designated prior to June 30, 2004. Rules (Lopez) This chapter increases HFA's tax-exempt bonding authority by $1.6 billion from $6.48 billion to $8.08 billion. This increase will enable HFA to continue to meet the demand for below-market financing among both for-profit and not-for-profit housing developers for another year. Rules (L. Diaz) Extends the existing authority of the local housing agency in the City of New York to continue financing up to 100% of the total development cost of an affordable development (either substantial rehabilitation or new construction) and also authorizes the Department of Housing Preservation and Development (HPD) to forgive City financed pre-construction advances to owners. Prior to this, the ability of the City to finance 100% of this cost would have expired on July 1, 2003. This chapter extends the sunset date to July 1, 2008. Also prior to this chapter, pre-construction advances for site preparation and other pre-construction costs could not be forgiven by the City of New York. Rules (Ramos) Amends Section 2407 of the Public Authorities Law to increase SONYMA's tax-exempt bonding authority to a total of $6.945 billion, an increase of $50 million. This increase is expected to provide SONYMA with sufficient bonding authority to cover its activities for the next year. In addition, this chapter extends SONYMA's authority to purchase mortgages and issue tax-exempt bonds until July 16, 2004, and extends the Agency's authority to issue taxable bonds until July 16, 2004. Rules (Bing) Extends certain powers of the State of New York Mortgage Agency's ("SONYMAs") Mortgage Insurance Fund from July 16, 2003, to July 16, 2005. This extension will allow SONYMA to continue to insure individual loans that meet alternative criteria, and also to provide mortgage pool insurance for mortgages on one-to-four family homes and on multi-family projects where the loans are made by lenders which meet certain criteria. Rules (Aubertine) Authorizes the Potsdam Housing Authority to restructure housing projects to ensure their continued operation as a source of housing for persons and families of low income. Rules (Lopez) Authorizes New York City to forgive certain liens on buildings for which an administrator has been appointed and increases the compliance period. Rules (Lopez) Provides municipalities with the option to grant an additional period of real property tax exemption to Mitchell-Lama housing companies upon the expiration of the existing period. The additional period continues as long as the project is operated under the restrictions and for the purposes of the Mitchell-Lama program for a maximum of fifty years. Rules (Lopez) Allows the City of New York Housing Development Corporation ("HDC") to increase the maximum aggregate principal amounts of its outstanding notes and bonds by $600 million from $3.8 billion to $4.4 billion. HDC uses this bonding authority to finance new construction and the conversion of non-residential buildings to housing in the Congressionally designated Liberty Zone and in other areas throughout the city. The work they finance results in an increase of low, moderate, middle income, and mixed income housing units. Rules (Wright) Grants additional property tax exemptions for certain state and municipal public housing projects for an additional fifty year period upon the expiration of the prior tax exempt period. The additional exemption period is similar to that which is currently given to federal public housing projects. The chapter allows these public housing projects to continue to provide much needed affordable housing to low-income New Yorkers. Rules (Lopez) Allows the Department of Housing Preservation and Development to expand the scope of its Participation Loan program to allow for loans to be used for new construction in addition to rehabilitation. Monies for this program are from private investors and municipalities utilizing grant funds and provide low-interest loans for the construction of new multiple dwellings on privately-owned property. Tedisco Provides for the Town of Glenville to establish the Town of Glenville Housing Authority. Low-cost senior citizen housing within the community of the Town of Glenville has become, over the years, increasingly more difficult to find. The Town government has determined that the creation of a Housing Authority will further their efforts to address the need for these specialized residential facilities. Rules (Lopez) Authorizes the Department of Housing Preservation and Development (HPD) to extend the term of Article 8 loans to the term of a loan held or insured by the Federal government, the Federal Home Loan Mortgage Association, or Fannie Mae. The chapter allows the Article 8 buildings to refinance with federal mortgage assistance and retain the refinancing proceeds for rehabilitation or arrears, rather than having to satisfy the Article 8 loan. HPD may either extend the mortgage securing an Article 8 loan until the end of the term of any such other mortgage loan, or replace the mortgage securing loan with a substitute mortgage. The chapter also designates HPD to modify the rate and the time of payment of interest on the original loan and the rate and time of amortization of principal in such manner as required to secure payment of not only the original loan, but also of a substitute mortgage, within the extended term. Rules (Destito) Authorizes Utica Housing Authority to restructure housing projects to ensure their continued operation as a source of housing for persons and families of low income.